This book has been written in a concise and easily assimilable style to enable rapid understanding of the mechanism and morphology of disease. It has been structured in a question-answer format that incorporates information in numerous flowcharts and tables that are easy to tnagars001recall and duplicate in the examination. 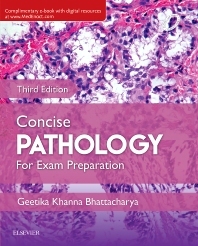 The new edition is based on Robbins and Cotran Pathologic Basis of Disease, 8E.